Singapore movie pricing is complex. The same is for Singapore income tax. And so I created this Google Spreadsheet. 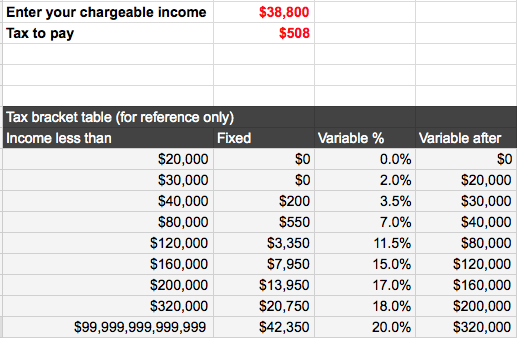 This is a simpler version of IRAS Excel sheet calculators. To use, make a copy of the Google Spreadsheet. Then enter your chargeable income, and it will tell you how much you need to contribute to Singapore.